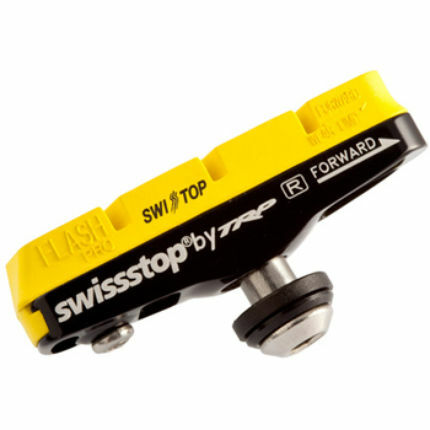 A Swiss product, Swissstop offers the best braking performance in all conditions for all types of bike. High performance compound for carbon wheels. Excellent stopping power wet and dry with superior modulation and low pad wear rates. Awesome power (wet and dry) and in precise modulation on carbon rims. No squeaking and very little wear to rim. Best blocks for carbon wheels. Noticeably superior to other brands.